Another adorable dress by Lanz! 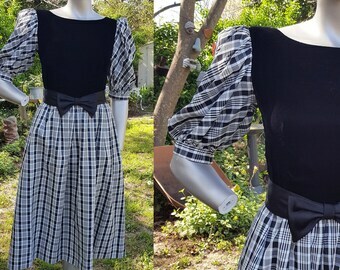 80s dress has puffed tulip sleeves and a diamond shaped open back topped with a bow. 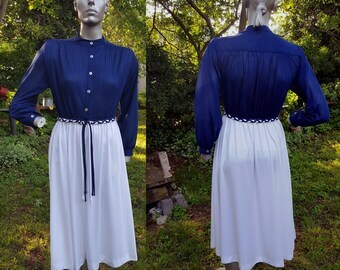 Waist closes in the back of the dress with 6 white dome buttons. and zipper. 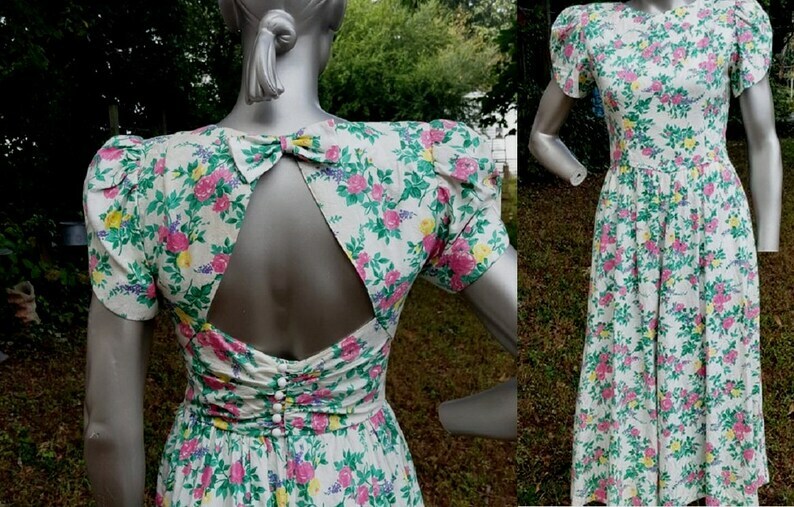 Colors on this vintage dress are white, lavender, pink, yellow and green. 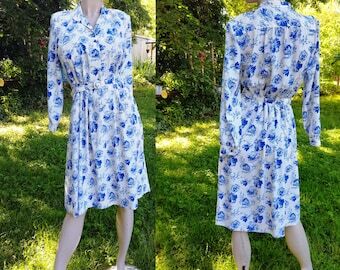 A sweet floral spring dress with very feminine lines.